« Browns Gab Super Bowl Trivia Contest for a New FLO TV! The Browns today announced that season ticket prices for the 2010 season will not increase. Season ticket prices for the Browns, which continue to rank among the lowest in the NFL, have not increased in five of the last seven years. In fact, this year prices for select seats will be lower than they were in 2009. For the first time ever, each Season Ticket Account Holder will have their own Personal Ticket Services Representative. They will also receive in-stadium discounts on items such as concessions and team merchandise, in addition to discounted season parking. For the first time, season tickets are available in the Cleveland Browns Family Zone – a family-friendly, alcohol-free area in Cleveland Browns Stadium. Prices in the Family Zone are set at $32 per game on a season basis, making them one of the most affordable in the NFL. Renewal information for current Season Ticket Holders will be mailed later this month. Season Ticket Holders also have the option of renewing their tickets through their Season Ticket Holder Locker Room on ClevelandBrowns.com. For the second straight year, the Browns are offering a series of flexible payment options and renewal prizes. 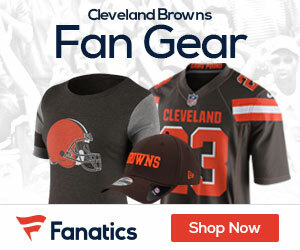 Season Ticket Holders can log in to their Locker Room on ClevelandBrowns.com to take advantage of these payment options. Information on Browns 2010 season tickets is available at ClevelandBrowns.com or by calling (440) 824-3434. The Browns 2010 regular season home schedule includes games against the Atlanta Falcons, Carolina Panthers, Kansas City Chiefs, New England Patriots, New York Jets, and AFC North rivals Pittsburgh Steelers, Baltimore Ravens and Cincinnati Bengals. Watch what happens when this team becomes competitive.